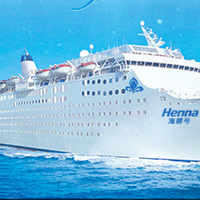 Cruise holidays. Despite the now mundane miracle of aviation travel, Earth's deep oceans and seas still beckon to millions of holidaymakers year on year. Or, if perhaps not the water herself, then the concomitant aspects of contemporary cruise travel. A number of days if not weeks aboard a gargantuan, luxury-focused ship, which is replete from fore to aft with swimming pools, cafes, bars, restaurants, libraries, retail departments, casinos…did we mention bars, too? Magnificent. South Korea’s Samsung Heavy Industries (SHI) has won a $100 million order to build two liquefied natural gas (LNG) carriers for Korea Line, reports Yohnap. Korea Gas Corp. (KOGAS) has chartered Korea Line to transport LNG from Tongyeong, South Gyeongsang Province (mainland) to Jeju Island for 20 years. Under the deal with Korea Line, SHI will build the ships by December 2019, the company said. One of the two vessels would have LNG bunkering capability. The ships, which can carry up to 7,500 cubic meters of LNG each, will be deployed to transport LNG between local ports, it added. Asia's cruise industry is growing at a record pace and shows no signs of slowing down, according to the latest 2016 Asia Cruise Trends study from Cruise Lines International Association (CLIA). 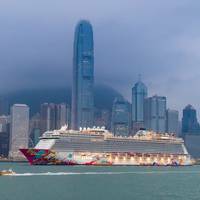 Asian source markets experienced the most growth year over year in ocean cruise passengers with an impressive 24 percent increase from 2014 to 2015 and a total of 2.08 million passengers in 2015, the study found. 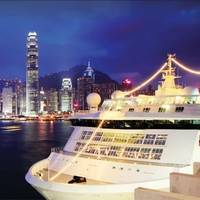 Asian cruise deployment, capacity and destinations have also shown remarkable growth. South Korea will host a six-nation submarine exercise in its southern seas later in the month, Yonhap quoted the Navy as saying. 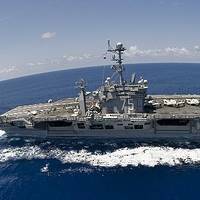 The Pacific Reach 2016, involving the United States, Japan, Australia, Singapore, Malaysia and South Korea will kick off on May 25 for a 10-day run in the waters off South Korea's naval port city of Jinhae on the southeastern edge of the Korean Peninsula as well as around Jeju Island, the Navy said. 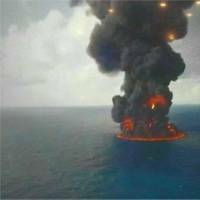 Another 12 foreign countries, including China and Russia, will join as observers, the Navy said. 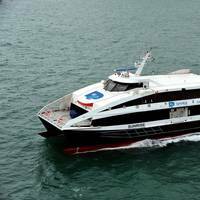 All good things come in threes as Damen delivers the third vessel of the year, from the Damen Fast Ferry (DFFe) series to South Korean operators. Having already delivered the SeaStar 5 to existing customer Seaspovill earlier this year, two additional DFFe deliveries to new customers highlight the success of the series as well as Damen's broad portfolio directly available from stock. In May 2015, operator Daezer Shipping took delivery of a DFFe 4212 named ‘Sunrise’ from Damen Shipyards Singapore (DSSi). 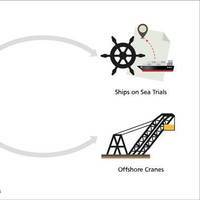 A new system has been developed by South Korean shipbuilder Hyundai Heavy Industries (HHI) to help better manage sea trial schedules for vessels built at its Ulsan yard. The new Sea Weather Forecasting System, developed by HHI in collaboration with Korea Institute of Ocean Science & Technology (KIOST), analyzes sea weather information such as wave height, wind speed and current patterns on an hourly basis in seven offshore areas including Ulsan, Gunsan and Jeju Island to manage the shipbuilder’s sea trials schedules up to 72 hours in advance. South Korean coastguards and navy divers resumed their search on Thursday for nearly 280 people still missing after a ferry capsized in what could be the country's worst maritime disaster in over 20 years. 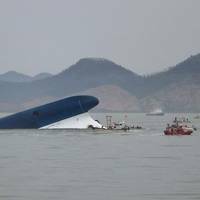 They will also be seeking answers to many unanswered questions surrounding Wednesday's accident, notably what caused the Sewol vessel to list and then flip over entirely, leaving only a small section of its hull above water. Rescue efforts on Thursday could be be hampered by difficult weather conditions, however, amid forecasts of rain, strong winds and fog. Of 462 passengers on board the ferry when it set sail from the port of Incheon late on Tuesday, 179 have been rescued and six people are known to have died. South Korean coastguards and navy divers resumed their search on Thursday for nearly 280 people still missing after a ferry capsized in what could be the country's worst maritime disaster in over 20 years. They will also be seeking answers to many unanswered questions surrounding Wednesday's accident, notably what caused the Sewol vessel to list and then flip over entirely, leaving only a small section of its hull above water. Rescue efforts on Thursday could be be hampered by difficult weather conditions, however, amid forecasts of rain, strong winds and fog. For the parents of the many teenagers still missing after the Sewol ferry capsized off the coast of South Korea, the wait for news - good or bad - is almost unbearable. Of 462 passengers on board the ship when it set sail from the port of Incheon late on Tuesday, nearly 340 are believed to have been from the same high school near the capital Seoul, on their way to Jeju island for a field trip. The prospect of hundreds of pupils in their late teens perishing in a single accident only adds to the sense of tragedy after Wednesday's disaster. Almost 100 ships, 18 helicopters involved in rescue; as many as 340 people from one school thought to be on board. Accident may be South Korea's biggest in 20 years. Almost 300 people were missing after a ferry capsized off South Korea on Wednesday, despite frantic rescue efforts involving coastguard vessels, fishing boats and helicopters, in what could be the country's biggest maritime disaster in over 20 years. The ferry was carrying 459 people, of whom 164 have been rescued, coastguard officials said. The Star Cruises' ship 'Superstar Gemini' was towed in to the yard for emergency repairs to fouled propellors. 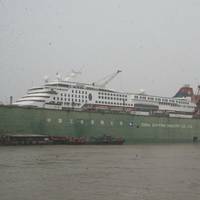 En route from Shanghai to Jeju Island the Superstar Gemeni's port side propellor shut down after becoming entangled with fishing nets and ropes, and while in the CJK anchorage the remaining starboard side unit shut down as well, leaving the cruise ship without means of propulsion. 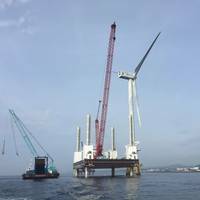 CIC Changxin shipyard quickly arranged five tugs to bring 'Superstar Gemini' into its JiuhuaShan floating dock where it was found that the propellers were entangled with fishing nets and ropes.